Dr Pegah Noorizadeh was a Pharmacist before she graduated in B. Dentistry with honours from Uni of Sydney in 2005 . She also received an Australian Dental Association Prize in Proficiency in Dental Ethics and Professional responsibility. Her previous experiences include working as a general Dentist in private practice in the ACT as well as NSW, Orthodontics training, as well as conducting hands on training courses in dental implants at post graduate level. Pegah is also currently a clinical educator at the Dental Faculty at the University of Sydney. 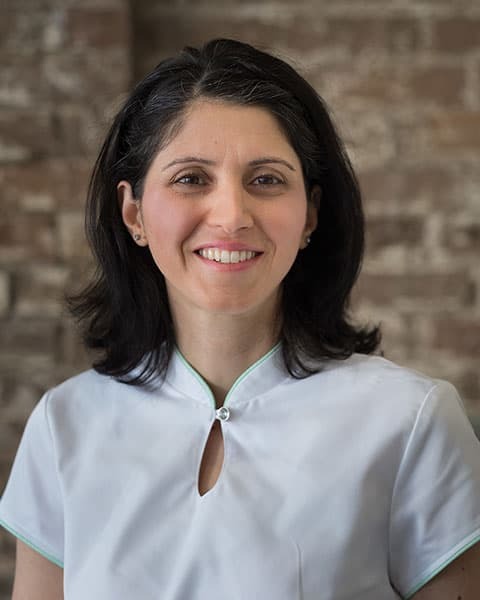 Pegah always aims to provide high quality, gentle and patient-specific dental care to her patients, with an emphasis on a preventative approach.